I HAVE read with great interest the arguments in the public space about the future of Joint Admission Matriculation Board (JAMB). The issue at stake is a serious one as it affects and perhaps determines the future of millions of Nigerian youths and the country itself. The status quo right now is that a student writes an examination set by JAMB and if successful, writes another examination set by the university of choice. What this arrangement has achieved is placing an admission hurdle in front of candidates rather than an admission process. A simple argument is that if JAMB is so relevant, why do universities have to set their own examinations to determine who gets admission? The obvious answer is that JAMB is no longer needed in the admission process of tertiary institutions in Nigeria. One of the current trends globally is making processes simpler. Consultants earn millions yearly helping organisations become more nimble, take decisions faster, and respond to changes with more flexibility. That is the reason tall organisations are being collapsed into flat ones by eliminating excessive reporting lines and processes. Why is the admission process in Nigeria different? Why do parents have to pay JAMB and then the universities for the same cause? Why do students have to travel to write JAMB and then travel all over the country writing another examination? Imagine the risks to the lives of these candidates and the avoidable wastage of resources. My heart misses a bit every time I see an advertisement encouraging Nigerian students to go to Ghana universities as there is “no JAMB, no strike”. British universities spend millions on advertisements luring Nigerian candidates to interviews where they are promised admission “on the spot”. Basic requirement is five O’ Level credit passes. While other countries are simplifying the admission process, we are busy subjecting our youths to avoidable stress. The resultant economic effect of our students going abroad to study is capital flight leading to a deficit balance of payment: More Nigerian Naira chasing the Pounds and other currencies and yet we desire a strong local currency. A senior friend of mine wrote JAMB six times before gaining admission. He was lucky, others are not so fortunate. Many Nigerians whose stories could have been different have had to make do with an average life because they could not cross the JAMB /post-JAMB hurdle. If your family can afford it, you go to a private university or abroad. If not, you learn a trade or become a “ yahoo yahoo”. Frequent visits to internet cafes made me to realise that a great number of young boys who become internet fraudsters learn the skills after leaving secondary schools and are forced to stay at home after repeatedly being jammed by JAMB. An idle hand, they say, is an ideal workshop for the devil. That is why the people in authority need to do something urgently about the millions of youths currently roaming the street aimlessly before they get hooked in vices and crimes. By then, everybody will pay-both the governed and the policy makers. I know many advocates of JAMB will argue that there is a need to maintain high standards in our educational system. Raise the standards, so that only those who are fit will enter our tertiary institutions. If you are good, you should be able to pass JAMB and post-UME. While I believe in standards, I have always found that argument rather funny. A 100-Level student in a Nigerian University will study between six to 10 courses in a semester. Does this make him or her better than a student in a UK university who studied only three courses? The answer is no. The truth is that because of teaching methods, teaching aids, access to current research and modern facilities, the UK student will most likely be better. In developed countries, there are some courses you don’t write examinations for, you simply make a presentation or participate in group discussions and the professor will grade you. If you try that in some universities in Nigeria, you will be told you are lowering standards whereas students learn better under such conditions. What we call admission standards are simply admission hurdles. Let us simplify the admission process and ensure that we leave no deserving candidate behind. As it is now, we have too many qualified youths outside the walls of our universities. The government must reach out to them. I know that there are many factors apart from the obvious ones that the government will consider in deciding the fate of JAMB. What about the billions JAMB rakes in every year? What will be the fate of JAMB’s assets all over the country? What will happen to the employees of JAMB nationwide if rendered jobless? These are valid considerations but the truth is that nothing is greater than the future of the Nigerian youth. Because the future of the youth is the future of the country. Imagine if President Goodluck Jonathan did not go to university? I doubt if he would have had the chance to lead Nigeria. The country should be making money off her natural resources and productive activities and not the Nigerian youth. The government should therefore spare the youth the burden of buying JAMB forms and scratch cards. Also, the employees of JAMB should be transferred to other ministries and agencies where their qualifications will be relevant. Those that have to be relieved of their jobs should take solace in the fact that they are paying the price to give a better future to millions of Nigerian youths. As I have said before, the government should be careful of trading the future of the country for political considerations. 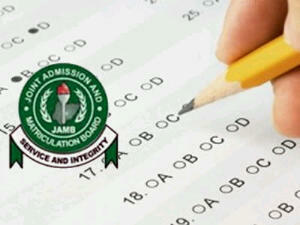 JAMB should be stopped henceforth from setting entrance examinations in Nigeria. The universities should be empowered to set their own admission examinations while the National University Commission(NUC) should step up its supervisory role in setting and maintaining standards for the quality of the admission process in the universities. All the requirement a candidate needs to satisfy should be five credit passes in relevant O’Level subjects. A candidate should be free to apply to as many as five universities in a year. There is nothing wrong in a student having admission letters from five universities. He then sits down to decide which of the five will be most suitable for him. For once, let the power shift to the people. All said, it is obvious that the problem of the Nigerian educational system goes beyond the admission process. The capacity of the universities is not enough. Nigeria has fewer than 200 universities for a population of 150 million. But for private universities, the situation would have been catastrophic. The argument has been whether more universities should be opened or the admission capacity of existing universities enhanced. I think both would be the solution. Vote more funds for the existing ones and encourage the establishment of more private universities. In addition, I passionately believe a university should not just be a citadel of academic learning but a partner to the industrial growth of a nation. There should be a symbiotic relationship between the universities and the private sector. For example, the accounting department of a university can link up with an accounting firm. The firm funds the department as a corporate social responsibility and the department sends its best students to the firm. The pharmacy department of a university can be funded by a drug manufacturing company while the department undertakes research for the company. A university in Nigeria that I have seen adopting this model successfully is the University of Port Harcourt. Evidence of this is the Institute of Petroleum Studies, UNIPORT, which is a post graduate school of petroleum engineering funded by TOTAL. • Akindiya, ACA, CISA, is a chartered accountant and environmental consultant.